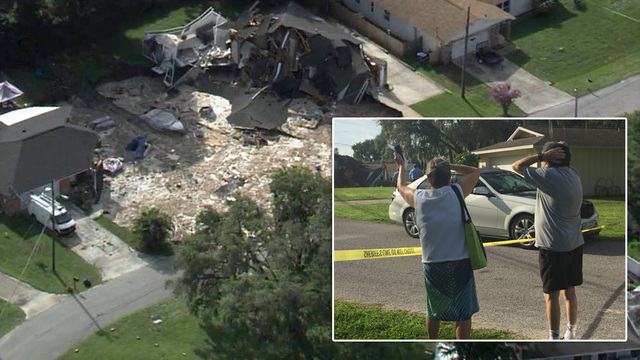 A 220-foot sinkhole swallowed two homes and emptied a Pasco County neighborhood this morning is still growing. 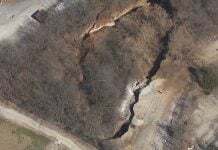 The giant pit is approximately 50 feet deep, 220 to 250 feet wide, and continuing to grow. It may reach all the way to a nearby lake. 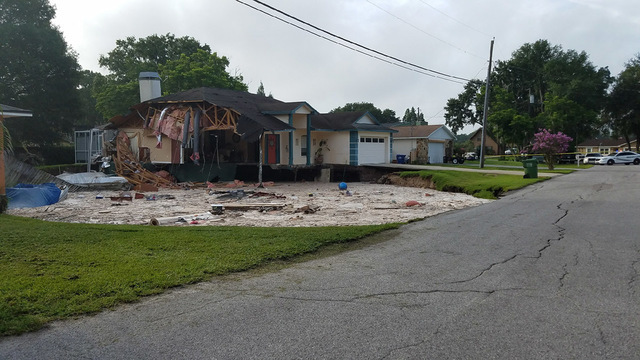 The home at 21835 Ocean Pines Drive in Land O’ Lakes fell into the watery hole this morning and the muddy pit has now claimed much of a neighboring home. Firefighters said they got a 911 call just after 7 a.m. and the hole grew within minutes after that. “We came in the house and we didn’t have time to react; didn’t get all of our stuff. We came back and the whole neighbor’s side was cracking. We called 911 and all this stuff. It started collapsing, and their boat started going down and our boat started going down so we had to evacuate,” Thalia Chapman recalled. Deputies have cordoned off a portion of the neighborhood and are only allowing residents with identification into the area to get valuables from the evacuated homes. No injuries have been reported. Eleven homes have been evacuated so far, though there could still be more. The sinkhole, by no means, is stable. 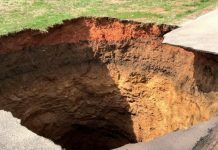 Sinkholes are a regular occurrence in Central Florida due to the nature of the state’s geology. Smaller holes are common, though they have been known to damage and even destroy entire homes. What ends up happening is, as the earth opens up, it opens up to the aquifer below — the Florida aquifer. That fills the hole with water, and that’s where the water comes from. 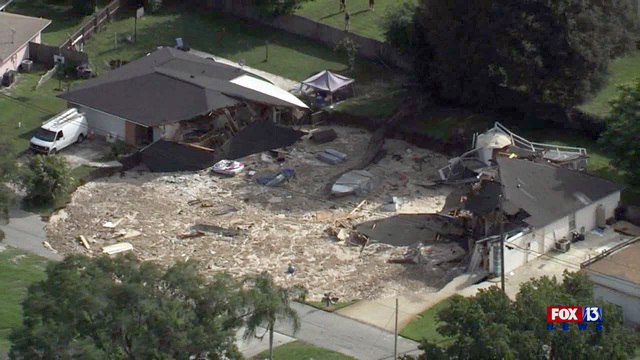 As debris falls into it, the typical sinkhole drains out. But because there’s so much debris, this sinkhole has not started draining. 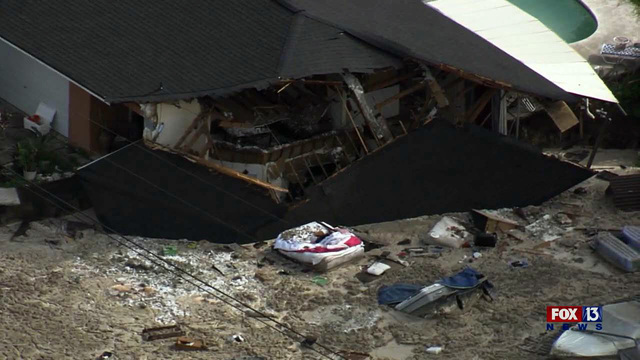 The hole is just one home away from an arm of Lake Saxon, and officials are worried that if it continues growing, it will ultimately reach the lake itself, further inundating the neighborhood. 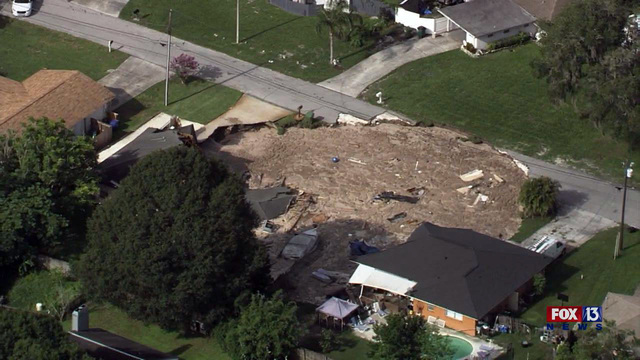 In summary: The enormous growing sinkhole opened up behind a home at 21825 Ocean Pines Drive, Land O’ Lakes. 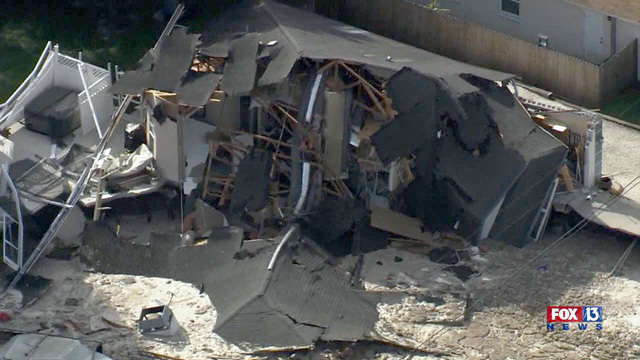 The first call came in to Pasco County communications at 7:21 a.m. Fire Rescue crews arrived at 7:36 a.m. Two homes are destroyed: 21835 Ocean Pines Drive and 21825 Ocean Pines Drive, 100 homes are without power, but no injuries have been reported. 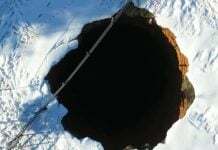 The sinkhole is still growing. As a consequence, 11 homes have been voluntarily evacuated from the area.